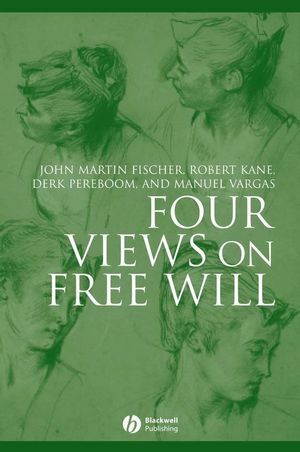 Focusing on the concepts and interactions of free will, moral responsibility, and determinism, this text represents the most up-to-date account of the four major positions in the free will debate. John Martin Fischer is Distinguished Professor of Philosophy at the University of California, Riverside, where he is a holder of a UC President's Chair. He is the author of The Metaphysics of Free Will: An Essay on Control (Blackwell 1994); Responsibility and Control: A Theory of Moral Responsibility (with Mark Ravizza, 1998); and My Way: Essays on Moral Responsibility (2006). He has written extensively on free will, moral responsibility, the metaphysics of death, ethics, and the philosophy of religion. Robert Kane is University Distinguished Teaching Professor at the The University of Texas at Austin. He is the author of Free Will and Values (1985), Through the Moral Maze (1994), The Significance of Free Will (1996), A Contemporary Introduction to Free Will (2005) and editor of The Oxford Handbook of Free Will (2002) and a collection of readings, Free Will (Blackwell, 2002). He is a member of the Academy of Distinguished Teachers at the University of Texas at Austin. Derk Pereboom is Professor of Philosophy at the University of Vermont, where he has been since 1985. He will join the Sage School of Philosophy at Cornell University in 2007. His book, Living Without Free Will (Cambridge University Press) appeared in 2001, and he has published articles on free will, philosophy of mind, history of modern philosophy, and philosophy of religion. Manuel Vargas is Associate Professor of Philosophy at the University of San Francisco. He has published articles on a range of topics, including free will and moral responsibility, practical reason, evil, and Latin American philosophy. A Brief Introduction to Some Terms and Concepts. 2. Compatibilism (John Martin Fischer). 3. Hard Incompatibilism (Derk Pereboom). 5. Response to Fischer, Pereboom, and Vargas (Robert Kane). 6. Response to Kane, Pereboom, and Vargas (John Martin Fischer). 7. Response to Kane, Fischer, and Vargas (Derk Pereboom). 8. Response to Kane, Fischer, and Pereboom (Manuel Vargas).